Ysternia (Isternia). 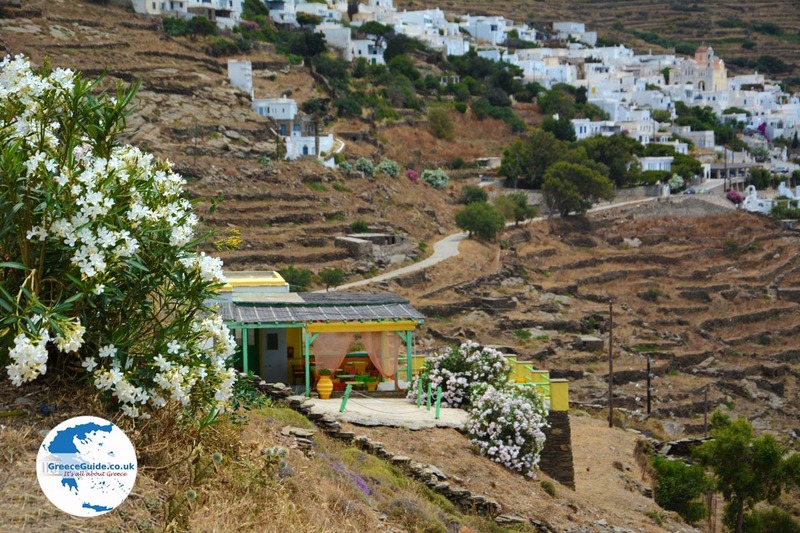 Ysternia is a traditional village in the west of the island of Tinos. 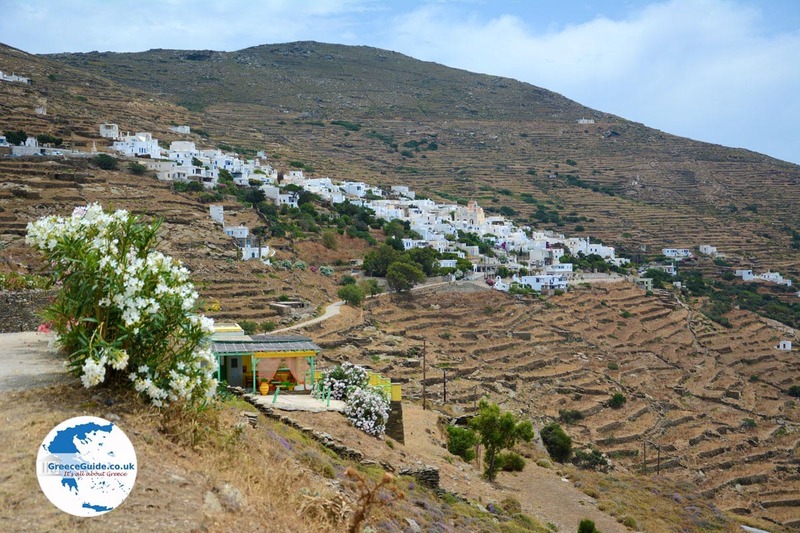 It is located about 18 kilometers (11 mi) northwest of Tinos town, on the slopes of Mount Meroviglia, 300 meters (about 1,000 ft) above sea level, and overlooking the island of Syros. 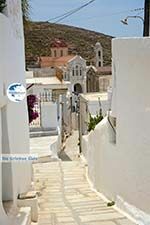 It is a village of white houses and narrow, cobbled alleyways. 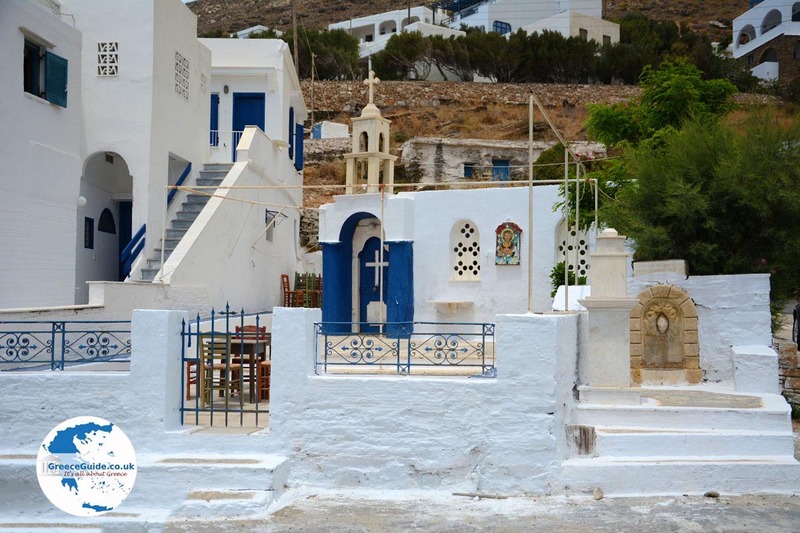 Marble from Tinos was used for construction throughout the village, in the houses, churches and alleyways. Marble was the source of prosperity for Ysternia. 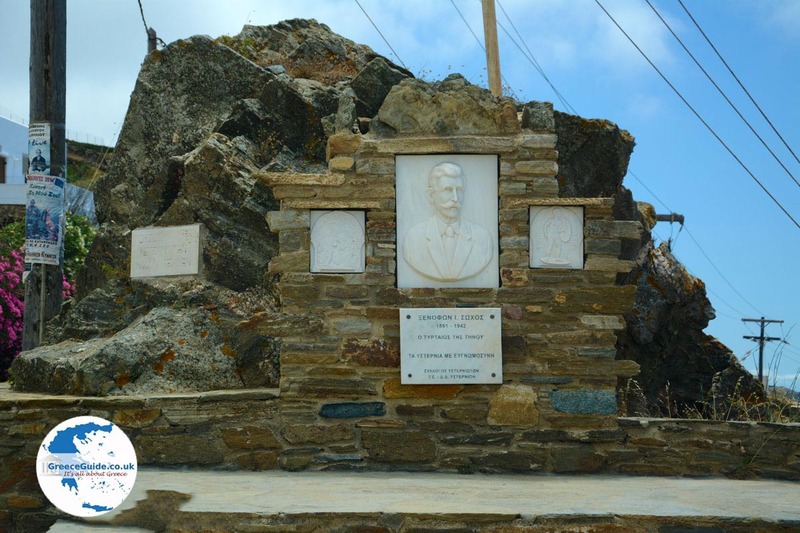 After Panormos, it is the second busiest center for marble working on the island. 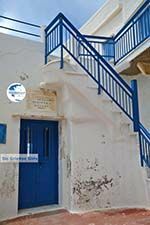 Several well-known artists came from here, mainly sculptors. Most houses consist of two floors and the doors and windows of these houses are at the top decorated with marble supports. 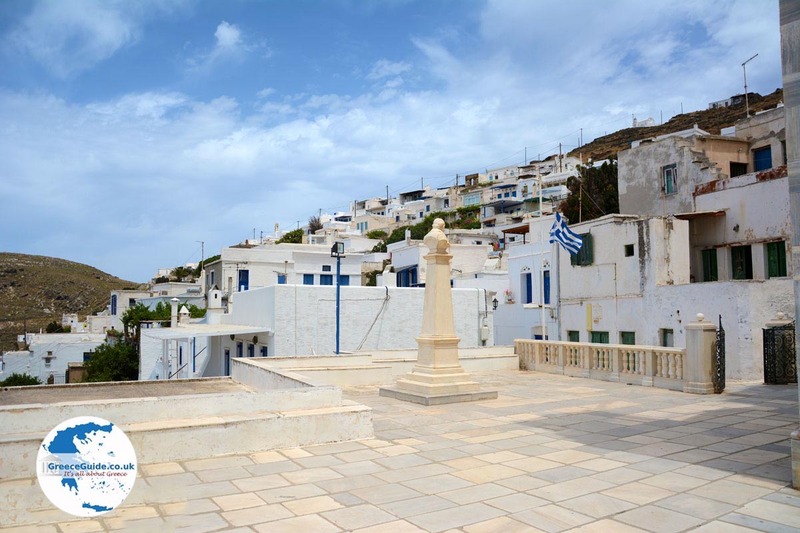 Ysternia’s population has dwindled from more than a thousand in the first half of the 20th century, to its current ranks of just over a hundred. 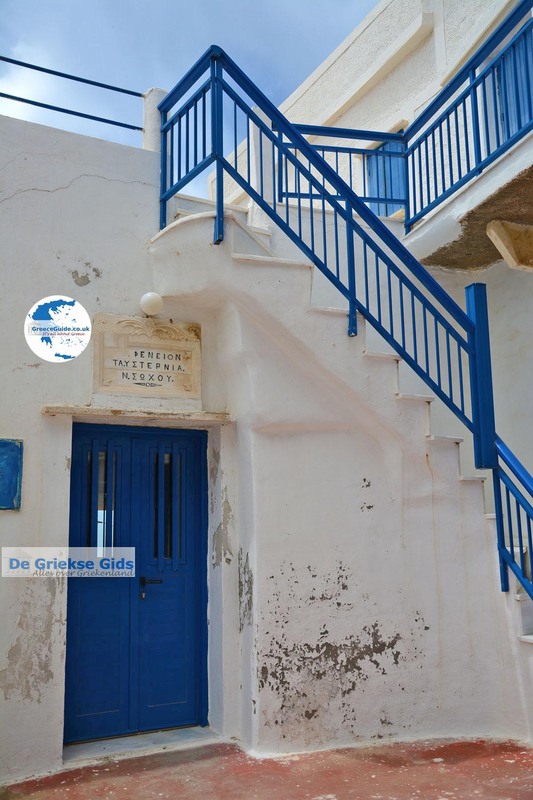 From the modern café named Exo Meria, at the end of the village, you have a fantastic view of the sea. 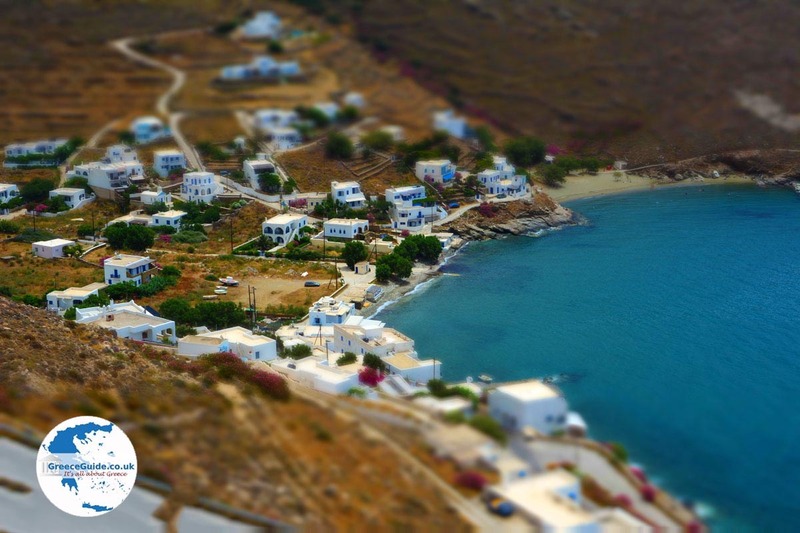 Under the slopes of the mountain lies the Bay of Ysternia, where the seaside resort of Ormos Ysternia is located. Here, there is a sandy beach and a small harbor where boats can moor. 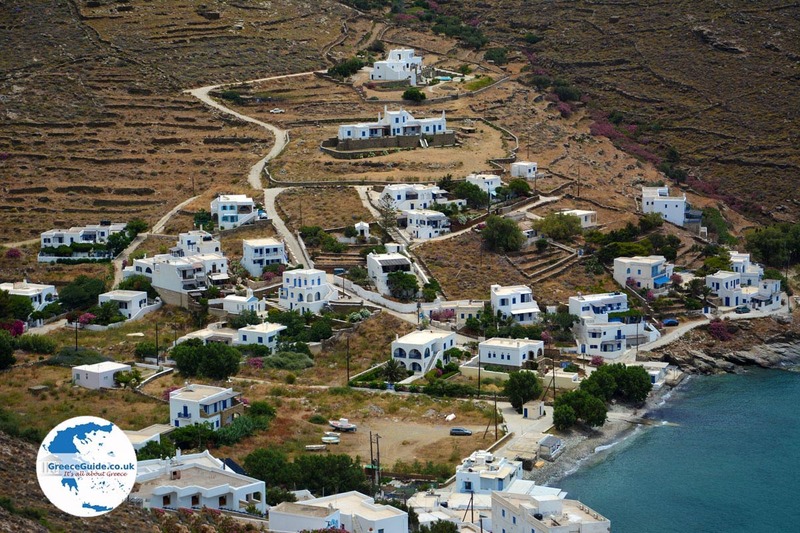 A road with many hairpin bends takes you from Ysternia to the beach. Near the harbor and the beach are several restaurants and cafeterias. The chairs and tables of many taverns are placed on the beach, literally beside the water so you can enjoy your dinner with your toes in the sand and the beauty of the beach surrounding you. 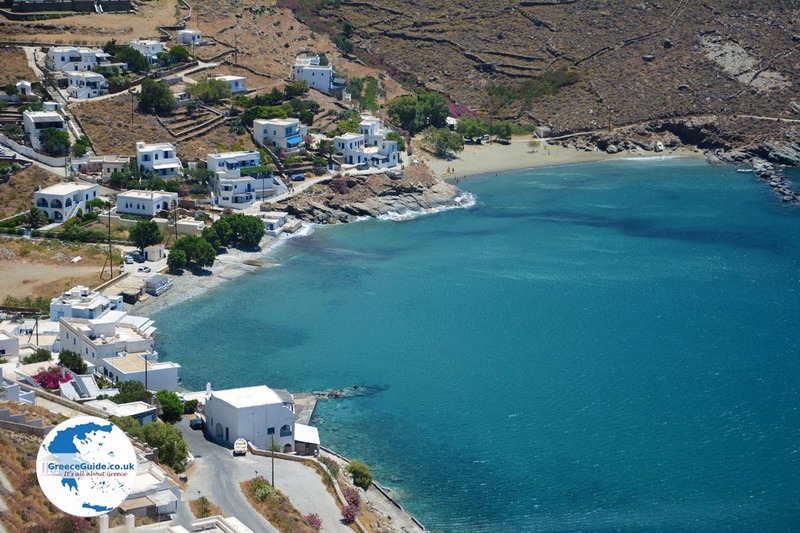 The scenic, sandy beach of Ysternia is located on the left side of the bay, in an easterly direction. This beach is very popular during summer. 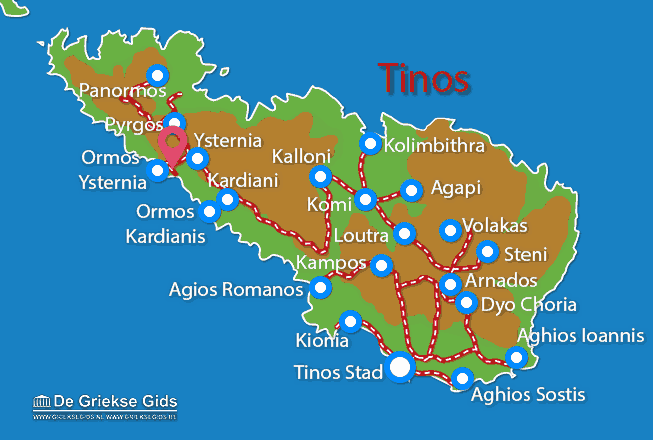 Tinos: Where on the map is Ysternia located?